G. the airport manager invited me to join the fly-in at Gilles Bay on Texada Island, 100 km north of Vancovuer. Originally I was going Saturday-Sunday. This week end's weather was not goo. Sunday J. and I took off from Langley with slim prospect. Sure enough the sky, west was dark. We turned south to W.A. state airspace. We hit light showers. Around north of Bellingham, J. practiced some manouvers, turns left and right. We had to keep close vigilance in case of Langley weather got worse. We monitored their recorded message. As an escape, we checked Boundary Airport's ATIS, too. After all, Boundary is the most familiar one in my mind. To be true, Langley is a bit alien to me; particularly its short and narrow Runway is my big concern. My plan is to reduce Mooney recommended 90 miles approach speed down to 80. I'll do it gradually anyway. 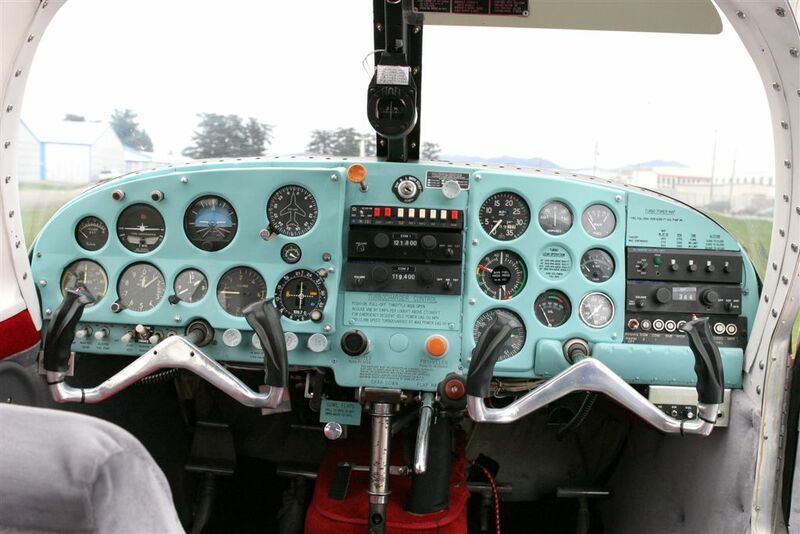 That's all for control and minitoring of the airplane, as well as navigating in instrument conditions. CFGUS is moved to Langley now. From Springbank to Abbotsford in 2 hours and 46 munutes. Work on the plane is complete, waiting for chance to fly. It's too windy and too much gust. I hope tomorrow is better as the weatherman predicts. Finally made it from Springbank, Alberta to Abbotsford in 2 hours 46 minutes. 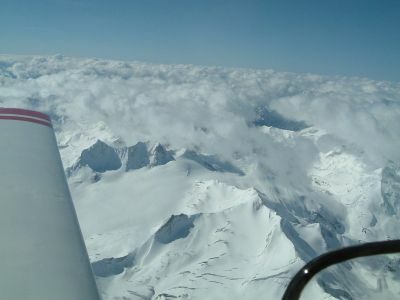 Controlled VFR flight at 14,000 feet. My first flight of CFGUS with B. to Olds and then to Red Deer (several T & G's to familialize with the aircraft). Lodging at "Fly Right ! "'s house, NW Calgary. Meeting with Bob after 32 years. April 03/05 (Sun): GUS with D. instructor; Climbed to 11,000 ' to try out the tubo charger. The waste gate op. slaggish, yet it still worked. Pleased. Practice of Johnson Bar gear op. Scratched my right hand; in future leather glove recommended, as Marc and B. did. Holds practice over YBW VOR, direct entry. Parking with temp tow bar from B.
April 04/05 (Mon): Briefer told me VFR all the way to the coast with warning over passes. Up and go! Flight Plan to Revelstoke filed. Electrical failure after run up. The plane towed to Cavalier Aviation: Mooney disignated shop. April 05/05 (Tu): Focus changed to the battery; new battery ordered. April 06/06 (W): New discovery on the cause of the problem. Master and starter relays; failure. The parts, estimated up to US$800 coming from California. Supposed to be here by next noon. April 07/05 (Th): Waiting game into PM. The parts in. Part of work done. Aound the noon, all work was done. Run up of engine was performed; starter worked, generator charging, radios okay. Too windy and gust; I parked at B's old parking spot without cover<---remember ELT antenna replacement before flight. Weather this side is deteriorating on the other hand Vancouver weather has started to improve<====Catch 22. 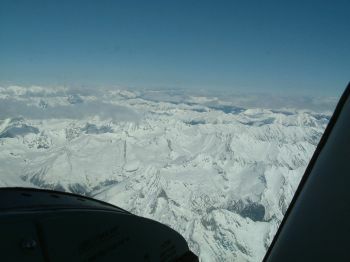 Springbank Airport is an satellite of Calgary International, located 10 km or so west of the city limit. This is the place I first learned to fly 32 years ago. I lived in the city for 2 years. I worked for Nissan Canada, and was an assistant instructor there, helping dealer mechanics on Nissan cars. Those were days of 510, 610, B210 and 240Z. Bob was a chief flying instructor at Chinook Flying School, where I was a student pilot. Now, Doris, his wife operates "Fly Right !" school where I'm in. I had difficulty of sending messages via Outlook Express from both Fly Right and Flying Club, although I could receive via imag.net server. Finally I've found mail server name, which happened to be the same at both. Now I don't have use to crude Imag's Webmail. My biggest complain is it doesn't allow me to delete a message without opeing. What the hell do thy think of spams? Now, I've won this small battle!!!!! Another problem remains, though. I cannot read or write Japanese, as these computers have not Japanese pack installed. Without admininistor privilage, I cannot install it!!!!???? ?